My mother is an expert craftswoman. She sews, knits, crochets, macramés, paints and crafts like no other. She is able to copy a knitting pattern by eye! I am good at most things crafts and creative but I don’t come anywhere near her talents …except for in the kitchen. My mother was perfect at all those things but cooking was not her forte. That said, she made some memorable delectable dishes that I will honor on this blog as I go along; her meatloaf was not one of them. My mother’s meatloaf was just God awful! Sorry mama. It turned me off meatloaf for years and years until my husband kept saying how he missed his father’s meatloaf. Apparently his father made the best meatloaf ever. Unfortunately by the time I considered attempting to make a meatloaf, my father-in-law had passed and his recipe was lost. A few weeks ago I posted my recipe for Mediterranean meatballs which involves tzatziki sauce. As I mentioned in the recipe, tzatziki is a staple in my meatballs and my burgers, to make them moist and flavorful; I forgot to mention I use it in my meatloaf as well. 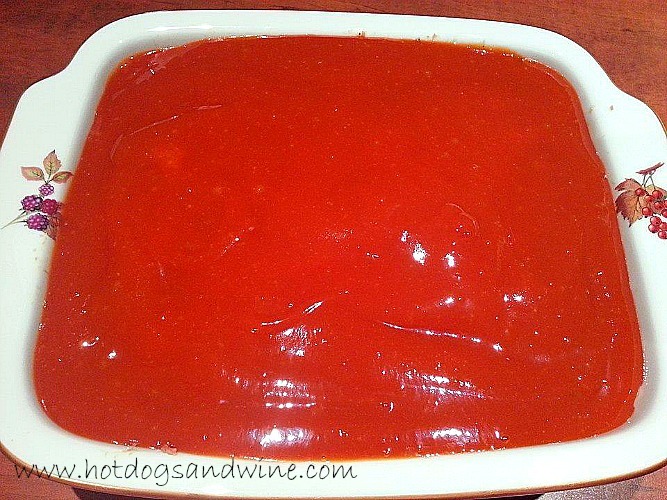 The first time I made meatloaf for my hubby he cried. He said it was just as good as his dad’s. 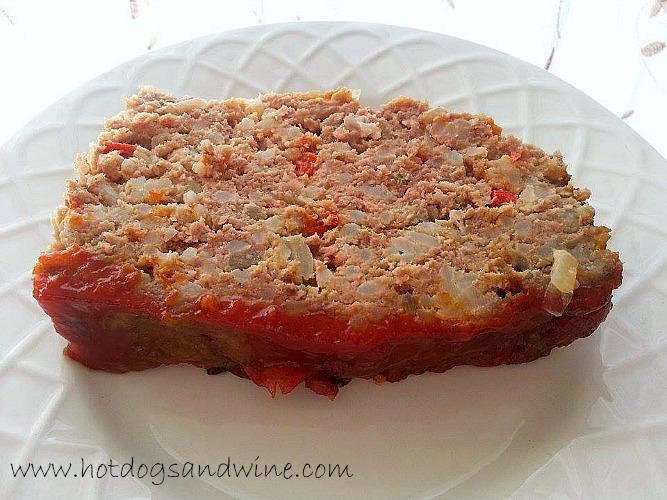 I have been making meatloaf for my hubby ever since. Unlike my meatballs and burgers, I do not add olives to my meatloaf. However, last night I added cooked rice for the very first time and it’s delicious! The rice makes it denser but the meatloaf is still moist because of the tatziki and the ketchup sauce makes it all simply divine. If meatloaf is not in your repertoire, it should be! Pop into a 375 degree oven for 1hour and 15 minutes and voilà!